Pittsburgh Underground: Fundays At 420: Buggs Bunny in Easter Yeggs! Fundays At 420: Buggs Bunny in Easter Yeggs! Welcome to another Fundays At 420 segment and a Happy Easter to all you drooling egg sucking sugar junkies!!! 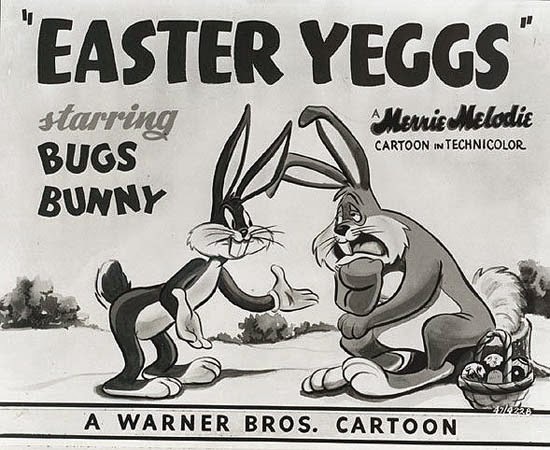 Today we wanted to celebrate the holiday with an old classic from the Warner Brothers archives: Buggs Bunny in Easter Yeggs. This is an old Robert McKimson favorite that released in June 28th, 1947 making it the 500th short released by Warner Brothers at the time (they would continue to make 500 more after this one). Staring the voice talents of Mel Blanc and Arthur Q. Brian with music by the legendary Carl Stalling. Enjoy the show! HAVE A GREAT FUNDAY (& EASTER) EVERYBODY!! !